We hope that you will visit our amazing Animal Shelter often and help us help the pets! Our Name: Klamath Animal Shelter / Also Known As: Klamath Humane Society, Inc.
We are a small, local non-profit organization that relies on donations to provide care for homeless pets. 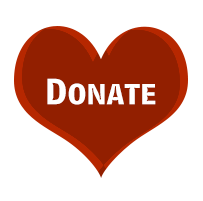 Your donations are tax deductible, needed and greatly appreciated. We are NOT a government agency and we do not receive national funding. Your donations help us help the pets. Thank You For Helping! The shelter is a fun place to visit! It provides an easily accessible, spacious, clean, positive environment for pets, visitors and volunteers. The pets love to see you and we do too! In 2011, to help eliminate confusion that we were affiliated with any national organizations, we requested that The State of Oregon grant our application to operate under the name of “Klamath Animal Shelter”. Our legal name remains “Klamath Humane Society, Inc.” but our new business name better identifies who we are and our mission. We are a LOCAL organization serving our LOCAL community and we receive NO funding from any national organizations. We rely on donations to help the homeless pets. Donations made to national organizations do not help local pets. LOCAL PETS NEED YOU! PLEASE donate to your Klamath Animal Shelter and help local pets. 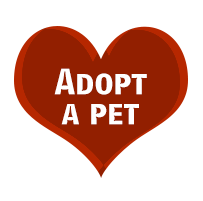 You can see all pets that are available for adoption on our web site. We add pets often, so PLEASE mark our website as a “favorite” and visit our site often. Please be a friend of the Klamath Animal Shelter on Facebook and please copy and share photos of pets from our website with your friends! By sharing photos, YOU can increase adoptions! In 1970 a group of citizens, that were providing care for community pets in their own homes, saw the need for an animal shelter in Klamath County. Fundraising commenced and the Miller Island Road facility was completed in 1982. From that point on, we have provided housing and care for all pets in need, including Klamath County stray dogs; dogs held under court order, and other abandoned and abused domestic animals and livestock. By 2005 the Miller Island facility had become too small to meet the growing needs of Klamath County pets and once again a group of volunteers commenced fundraising for a new animal shelter. The citizens of Klamath County donated over a million dollars in cash and along with donations of land, materials, and labor, the new debt free animal shelter and pet adoption center opened April 30, 2012. The new shelter was designed for the care and comfort of community pets in need and includes dedicated areas for animal intake, adoption, separate medical treatment and quarantine areas, pet visitation rooms, covered outside exercise yards, a grooming area and an education room. The 7 year journey (2005 through 2012) was an incredible one that resulted in a 20,000 square foot state-of-the-art animal shelter that is one of the best in the country. Because of many generous people that love pets, the dream of a new animal shelter is a reality. What an incredible journey! We thank the MANY that donated and helped. The Klamath Animal Shelter has a Large Animal Division with a team of specialized volunteers that concentrate on a variety of large animal issues and needs. They provide education to owners who are not meeting the minimum care requirements set by Oregon law. There are times when a neglect case can be avoided and solved simply by speaking with the owners and educating them on the proper care and feeding of their animals. When needed, the large animal team works with law enforcement to ensure the humane treatment of large animals in Klamath County. Large animals are available for adoption at 500 Miller Island Road and shown by appointment.